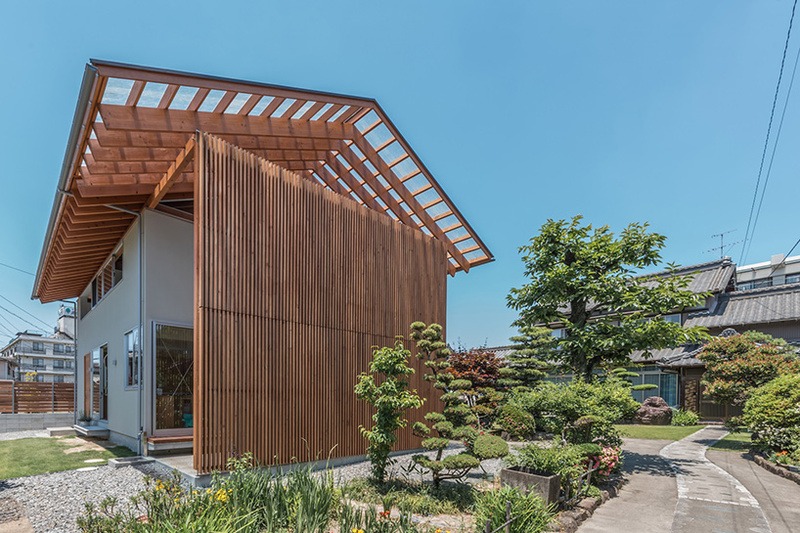 kota mizuishi architect atelier is a japanese firm led by kota mizuishi. 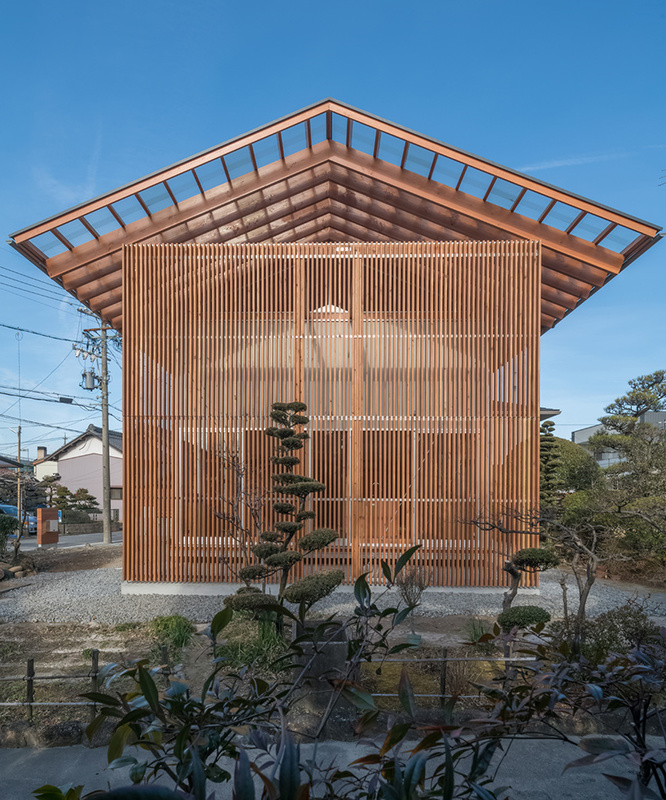 the studio has completed a number of projects across japan. 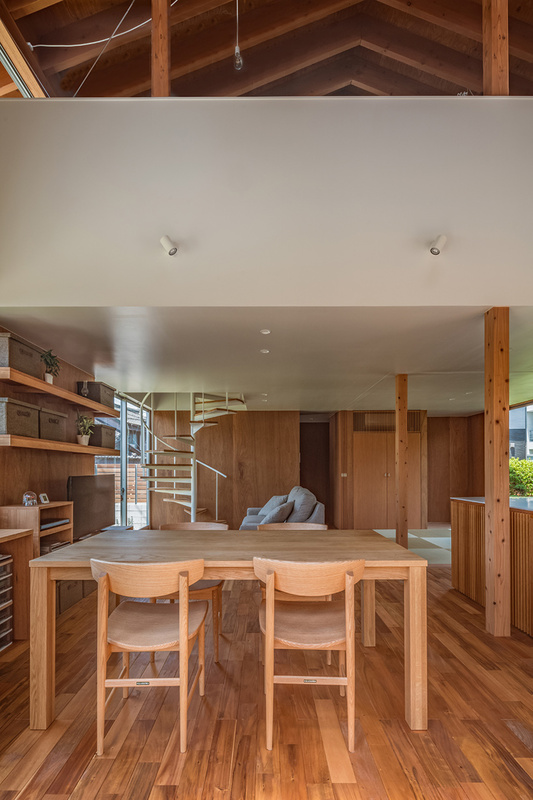 in a quiet residential area of kiyosu, in japan’s aichi prefecture, mizuishi architect atelier has completed a two-storey house that provides living accommodation for a young family. 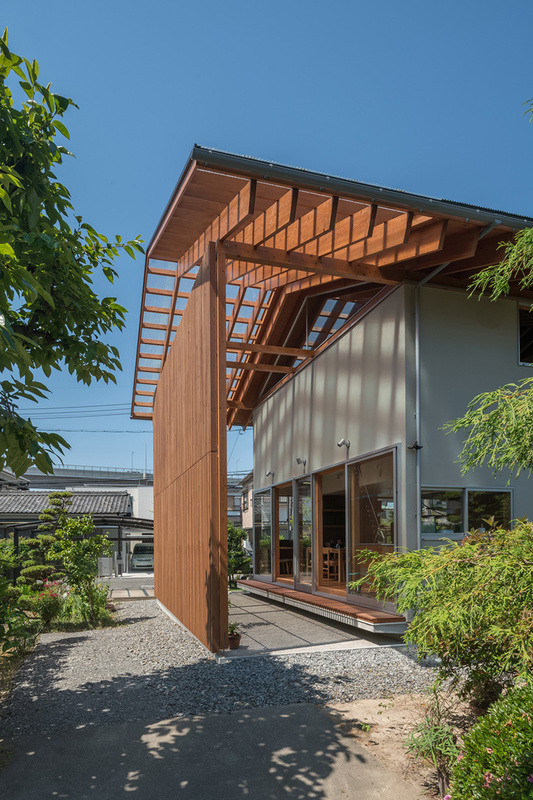 the dwelling has been built on an area of land that has belonged to the client’s family for generations, with the northern end of the plot accommodating a separate residence for the owner’s parents. 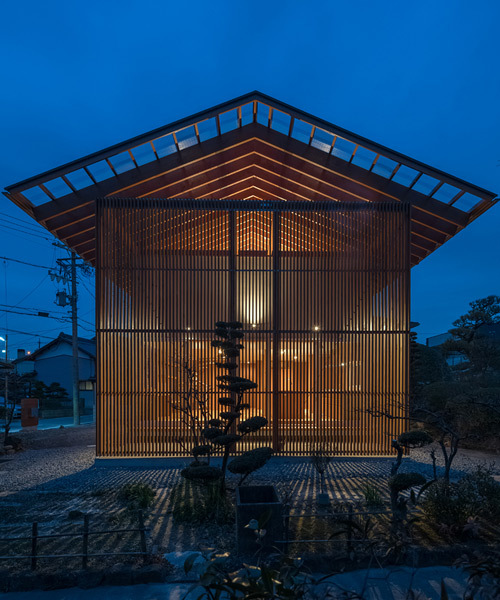 mizuishi architect atelier, a practice led by kota mizuishi, sought to develop a natural relationship between the two structures — which were to maintain a degree of separation and privacy. 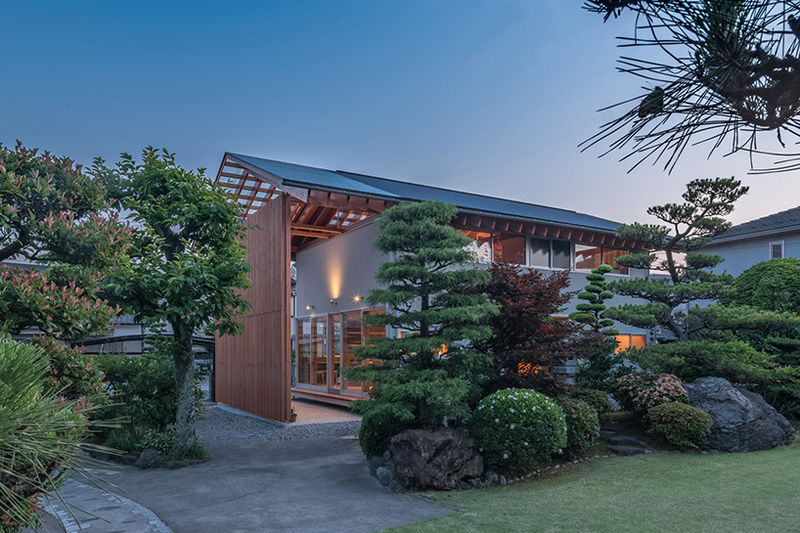 ‘my design is an attempt to maintain the garden view between the two homes and to connect the inside living area to its natural surrounding outside,’ explains the architect. positioned to the south of the site, the new structure features a permeable timber roof and wall that clads the main volume. 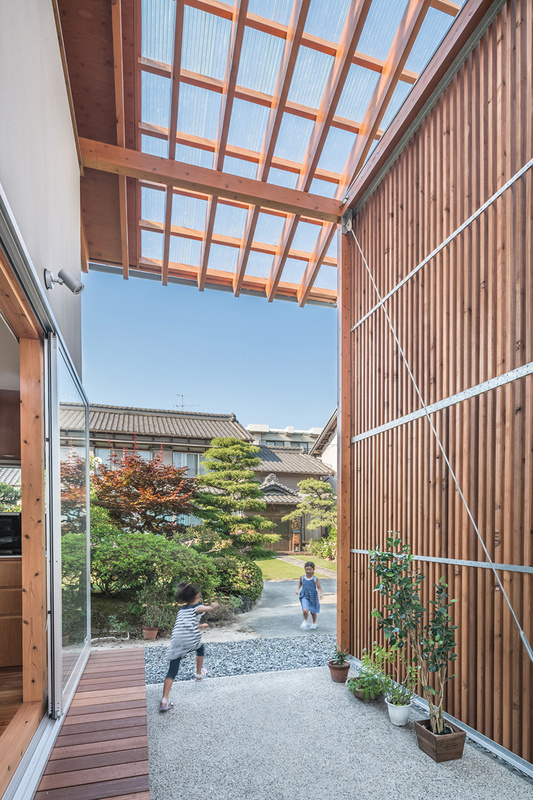 a sheltered outdoor space between this timber enclosure and the house forms an area referred to as the ‘tori michi’. 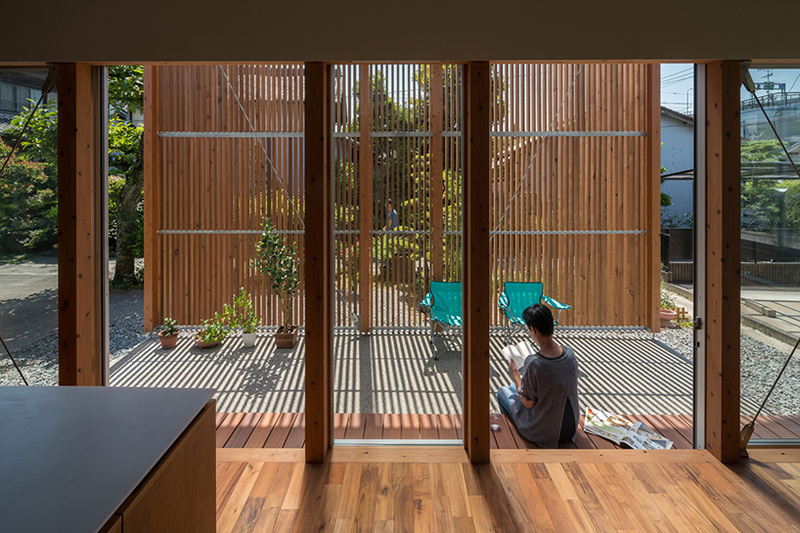 this double-height space can also be used by the owner’s parents, and has a transparent ceiling that allows natural light to enter. 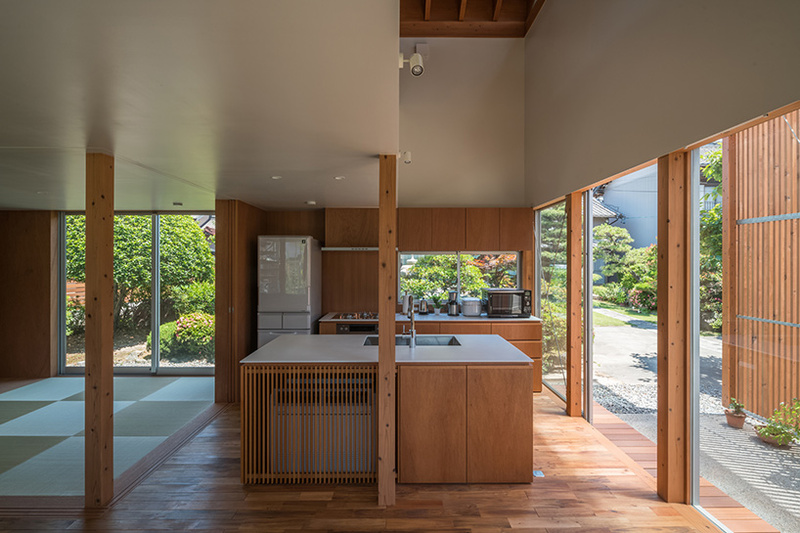 the home’s primary living spaces are found on the ground floor, with a large area for cooking, relaxing, and eating. 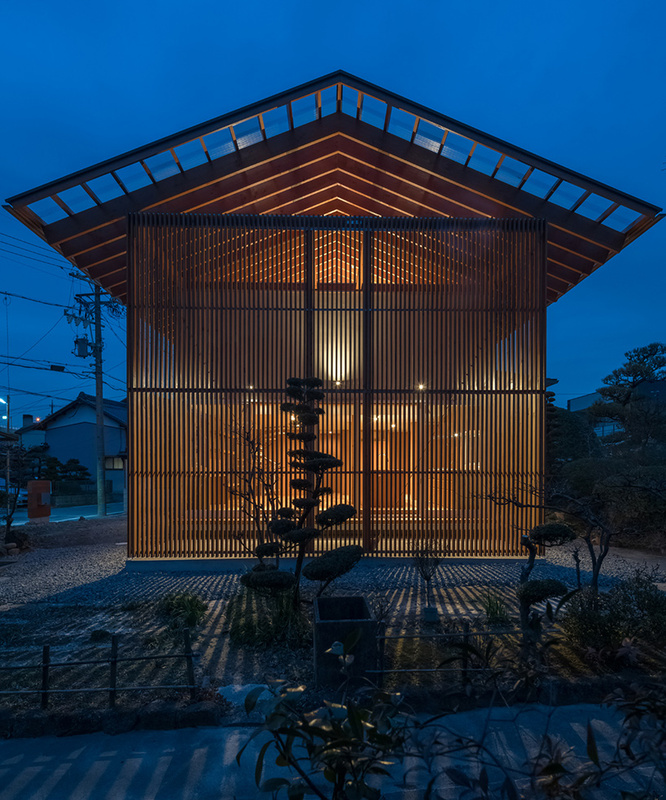 a tatami room and washroom facilities are also provided. 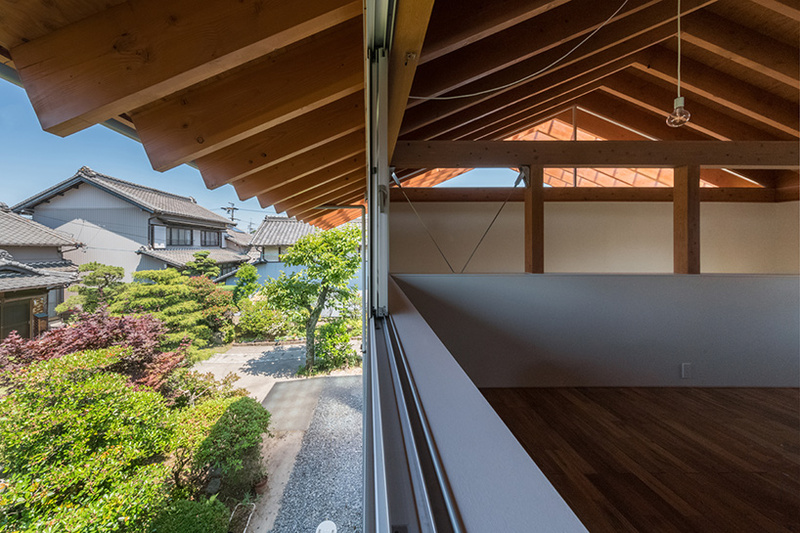 two bedrooms, which overlook the adjacent garden, are found at the upper level. 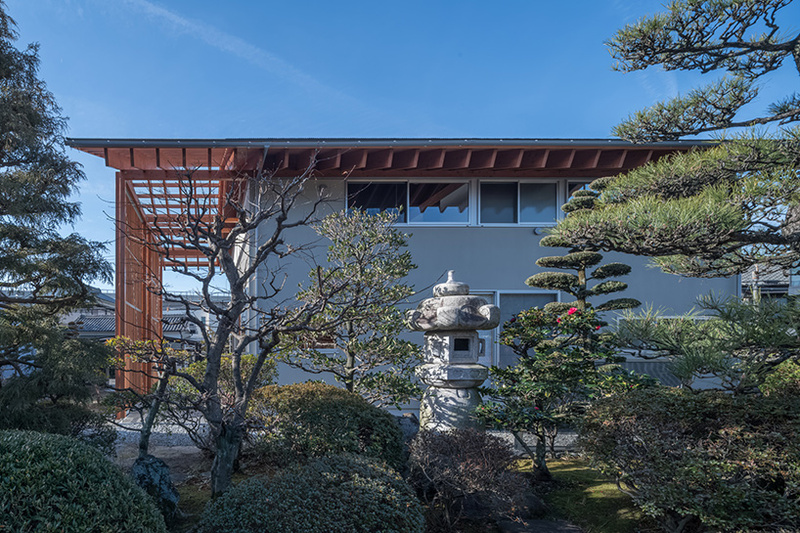 ‘it is an important theme to protect the cityscape from piecemeal redevelopment and to create relationships between old and new households,’ explains the architect. lighting designer: nakajima tatsuoki lighting design laboratory inc.